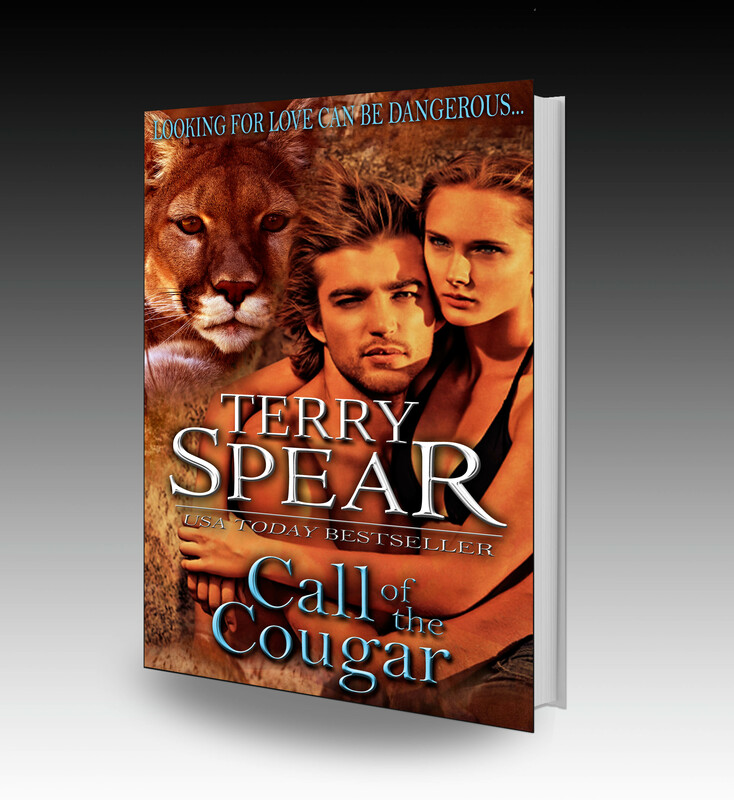 IF You Wonder What I’ve Been Up To… Call of the Cougar is Available! I wake at night thinking of the millions of things I haven’t done yet and what I need to do. It’s like sleep lists, only I’m not sleeping. Who needs to count sheep??? And I proofed the final copy of Kiss of the Vampire’s print version and need it back one last time to approve it. But today, I uploaded Call of the Cougar! It’s processing at Kobo, Amazon, and BN. But it’s at All Romance Ebooks and Smashwords now. This is book 2 of the Heart of the Cougar series. I posted both book 1 and 2 here. Shannon Rafferty learns that hanging out with the bad boys could be a dangerous business, but hooking up with a cop is even worse. Now she’s on the run, trying to avoid being murdered by his cougar shifter brothers and uncle. If that isn’t bad enough, a deputy sheriff hunts her down while she’s running as a cougar and trying to survive in the Colorado wilderness. He vows to protect her no matter what she’s done. With three dead boyfriends to her name, she’s sure she will be the death of Chase Buchanan before either of them can prevent it. No matter how much she knows she has to run again, he soon holds her heart hostage. But will that be enough to keep them both alive? Chase Buchanan—as wilderness cabin resort owner, former US Army Special Forces, and part time deputy of the small town of Yuma, Colorado that boasts a love of cougars—is tasked to track down a cougar reported to be hunting human prey. Chase soon learns she’s a shifter, not a full-time cougar, and she’s on the run. When he takes her in, he vows to protect her. After losing his wife and baby to the human kind of predator years earlier, he’s not letting Shannon’s hunters kill her, too. But how is he going to hold onto the wild-cat woman, who is unpredictable at every turn, without losing his heart to her, and then losing her as well? Special Agent for the U.S. Department of Fish and Wildlife Services, Tracey Whittington, takes down wildlife traffickers and more, but what she doesn’t expect is to be in a shootout, multiple times, when the business turns deadly. Nor does she suspect she’ll be working with Hal Haverton, who serves as a part-time deputy for Yuma Town, Colorado, and runs his own horse ranch. As long as he doesn’t stop her investigative work—she has been placed on administrative leave due to the last shootout—she’ll be just fine. Hal Haverton has every intention of keeping the wild cat safe, even if it means helping her to solve the case when every time he turns around, she’s involved in another shootout. When her boss asks their good friend, the sheriff, to have one of his deputies serve as a bodyguard for the cougar shifter, Hal’s all for it. So is the other deputy, but Hal’s got this covered. Even if getting somewhere with the lady means having his gun ready at all times. There are definite perks to getting to know the Special Agent better—if they live long enough to do something about it. The title will be available on the other sites probably by tomorrow. I’ll update as I get them. And the new windows and redone wall for the front foyer. As you can see in the picture of the before–it’s really foggy out. Perfect for vampires. Have a super wonderful Thursday. Argh, the time is disappearing quicker than I can account for it. Does that ever happen to you?